Annual physicals are a key component of your medical care. In addition to having screening tests to check for certain medical conditions, the annual visit gives you a chance to chat with your doctor about how you are and anything that concerns you. At Selma Family Care, PC, in Selma, Alabama, Dr. Sean Bohannon knows how important your annual physical is to your physical and emotional health. If you’re due for your annual physical, call or book an appointment online. What can I expect during my annual physical? Your annual physical is a great time to check in with Dr. Bohannon and address any new symptoms you’ve experienced over the last year, along with any new concerns you might have. He takes a careful history, asks you questions about conditions and symptoms in your medical record and about any new symptoms or problems that may have developed in the past year, even if you don’t bring them up yourself. Dr. Bohannon also performs a thorough physical exam and orders routine tests. What tests are part of my annual physical? While some tests are standard during an annual physical, others depend on your gender, age, and any medical conditions you have or could develop based on your health risk factors, such as your family medical history. Dr. Bohannon checks your vital signs, including your blood pressure, heart rate, respiration (breathing), and temperature during your annual physical. If your vital signs tend to be higher or lower than average, you should let Dr. Bohannon know. He may want to schedule a time to meet with you again and note the record of your results. Using a stethoscope, Dr. Bohannon listens to your heart to check for a heart murmur, an irregular heartbeat, or any other signs of heart disease. He also uses the stethoscope to listen to your breathing. Crackling or wheezing could be signs of lung disease or asthma. And expect a check of your eyes, nose, and throat for infection or any irregularities. Blood tests are usually a part of an annual physical exam. A complete blood count lets Dr. Bohannon check for signs of infection or other diseases. If you have diabetes, a blood test can help Dr. Bohannon stay up-to-date with how you’re doing controlling the condition. 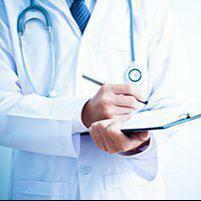 Annual physicals help you maintain your health and deepen your relationship with your doctor. Dr. Bohannon schedules annual physicals during convenient times and follows up with medical guidance based on your test results. Call or click online today to schedule your annual physical at Selma Family Practice.